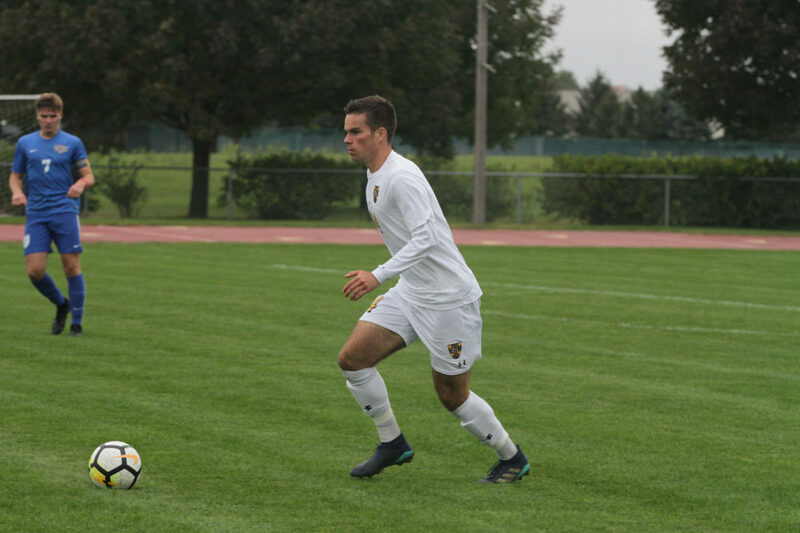 ARDEN HILLS, Minn. – The Gustavus men’s soccer team took on Bethel on Saturday afternoon and won by a score of 3-1. The win marks the fourth consecutive win for the Gusties and improves their record to 9-1-1 overall and 5-0-1 in MIAC play. The Gusties jumped in control early in the contest as they rattled off two goals in the first 21 minutes of play. David Almaer (Sr., Plymouth, Minn.) got the scoring started in the 13th minute when he recorded his first goal of the season off an assist from Daniel Barnes (Sr., Lund, Sweden). The second goal came from Matt Gibbons (So., Minneapolis, Minn.) who tallied his fourth of the season in the 20th minute. Gibbons scored his second goal of the game and fifth of the season early in the second half to give the Gusties a 3-0 advantage. Bethel scored a goal in the 57th minute to get the score to 3-1 but the Gusties held onto their lead for the rest of the contest to close out of the game. Anders Severson (Sr., Woodbury, Minn.) got the start in net for the Gusties and recorded three saves while allowing one goal. The Gusties will host Saint Mary’s on Wednesday in a 4 p.m. contest at the Gustie Soccer Field.